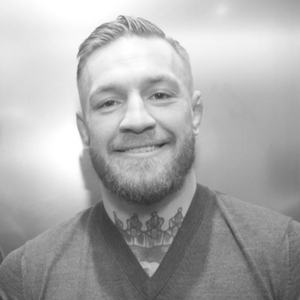 Born in Dublin, Ireland, in 1988, Conor McGregor rose from a tough neighborhood to become the biggest star in the sport of mixed martial arts (MMA). After joining the Ultimate Fighting Championship (UFC) in 2013, “The Notorious” unified the featherweight division with his title win in 2015, and the following year he became a two-division champion by winning the lightweight title. McGregor also famously fought boxing champion Floyd Mayweather Jr. in 2017.